Repurposing inexpensive things to create a custom look is the best thing about putting together a DIY home office. Today's featured office includes a DVD rack cleverly put to use as a monitor stand. 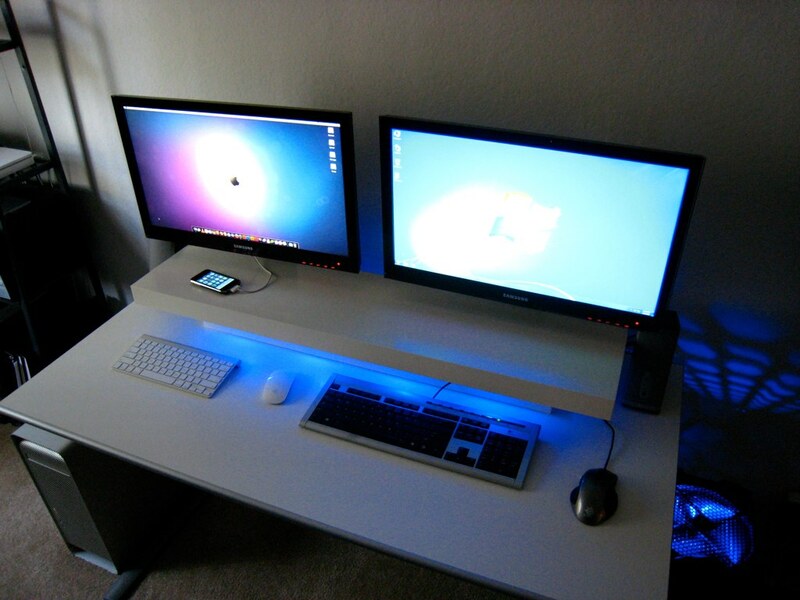 Lifehacker reader Pixelsonly has a clean and well-organised workspace sporting dual workstations for Windows 7 and Mac OS X. What really caught our attention — pleasant looking workspace aside! 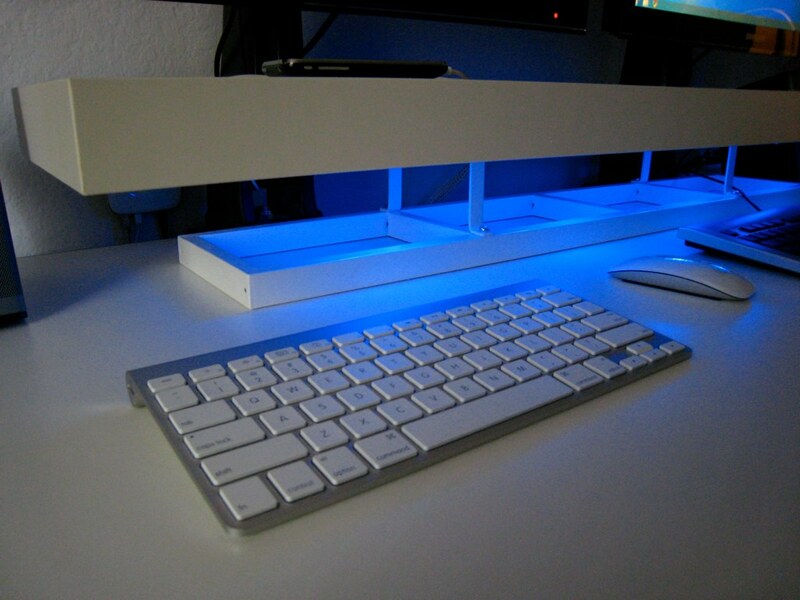 — is the clever use of an IKEA DVD holder as a stand for his under-lit desk shelf. By attaching a Lerberg DVD shelf to the bottom of an actual shelf Pixelsonly created a really slick looking stand that doesn't look at all DIY or cobbled together. 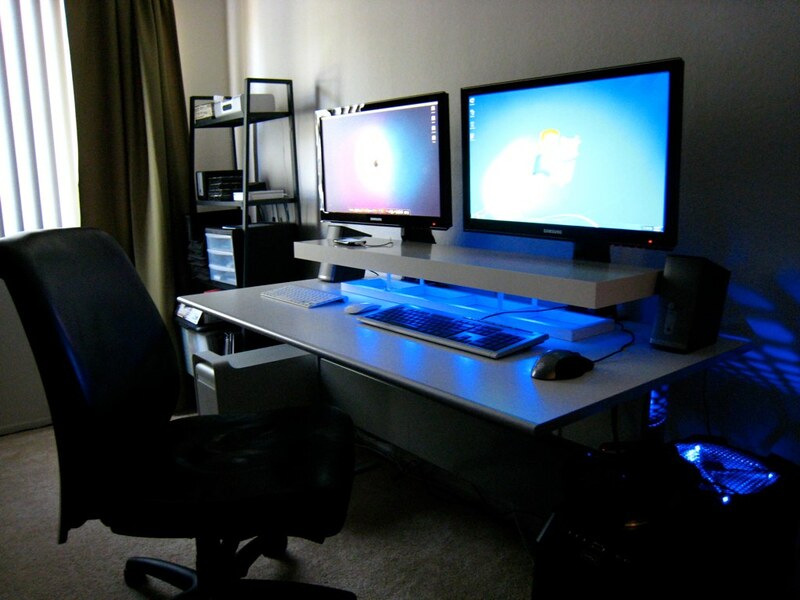 Check out the shelf and the workspace in the pictures below.